I've been a customer of Family Christian for well over 10 years now. I started going to Family Christian when I took charge of my faith. I had to stop relying on Sunday service to teach me the Word of God. I needed to seek God out for myself. Family Christian played a huge part in that. I remember visiting Family Christian for the first time in 2003 and I was in awe. I truly expected to just find Bibles, study aids, and devotionals. I did find those products but there was so much more. I found music, movies, fiction, non-fiction, stationary, art, small home decor items, and even church staples like a communion set. Over the years, Family Christian has introduced me to different genres of Christian music -- Yes, I only knew Gospel before. I found a book series that knocked Stephen King's Dark Tower from its number one spot. I became obsessed with the Left Behind series and Family Christian helped feed it with the books and movies. I was able to find great gifts for family there. I could even find out about different local concerts in the area when I would visit Family Christian. I never would have known that Avalon -- one of my favorite groups -- was performing at a local high school several years back. I currently can't walk into my local Family Christian store because I am recovering to be fully mobile again. Thankfully, they have a web store. Not only can you find the products that are in the physical Family Christian store, you can also order special items from vendor partners. You will run into the same sales the store fronts have with their online store as well. Including their summer BOGO 50%-Off sale which ends on August 25, 2016. As a special treat to readers there is a giveaway. One winner will receive a $25 Family Christian coupon to use at Family Christian stores and online. Giveaway ends on August 24, 2016. 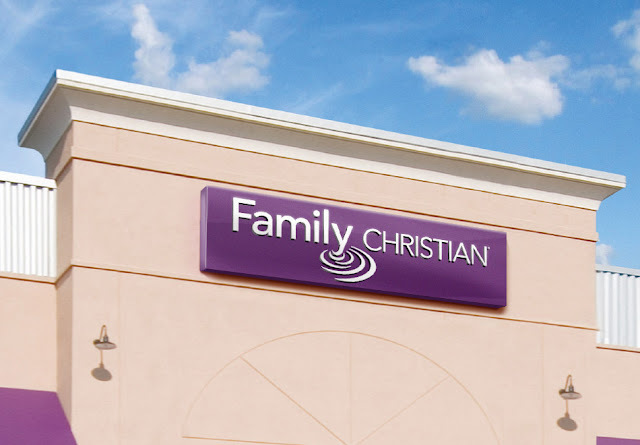 Family Christian is a Christian retailer, operating in 250 stores across the country. They are committed to helping you find, grow, share and celebrate your faith through a wide selection of Christian books, music, Bibles, DVDs, gifts and more. When you shop with Family Christian, your purchases support their efforts to unite with ministries that are helping children and families in need around the world. Many thanks to Propeller Consulting, LLC for providing this prize for the giveaway. I did receive some form of compensation in exchange for this post. Choice of winners and opinions are 100% my own and NOT influenced by monetary compensation. Only one entrant per mailing address, per giveaway. If you have won a prize from our sponsor Propeller /FlyBy Promotions in the last 30 days, you are not eligible to win. Or if you have won the same prize on another blog, you are not eligible to win it again. Winner is subject to eligibility verification.